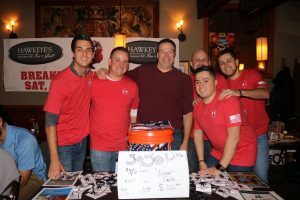 The name of our event was Wings for Warriors. 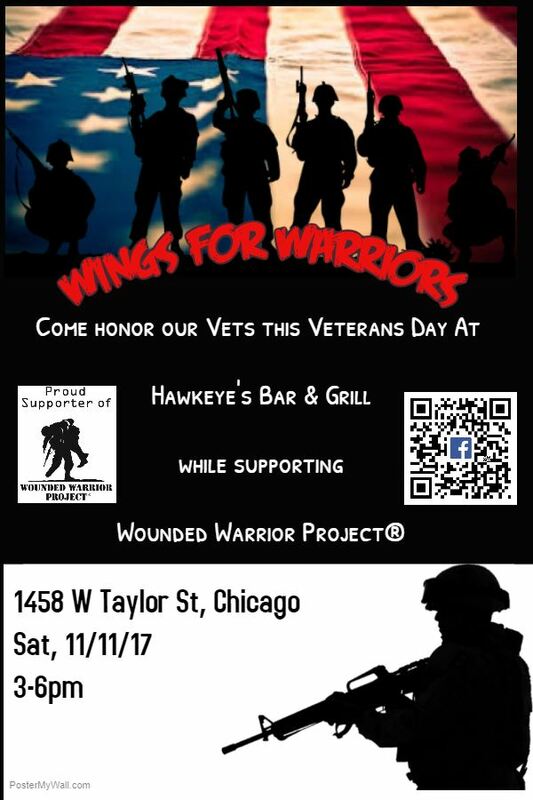 We held the event at Hawkeye’s Bar & Grill, from which we will receive 10% of all sales from 3- 6 PM on Saturday, November 11th – which was Veteran’s Day. 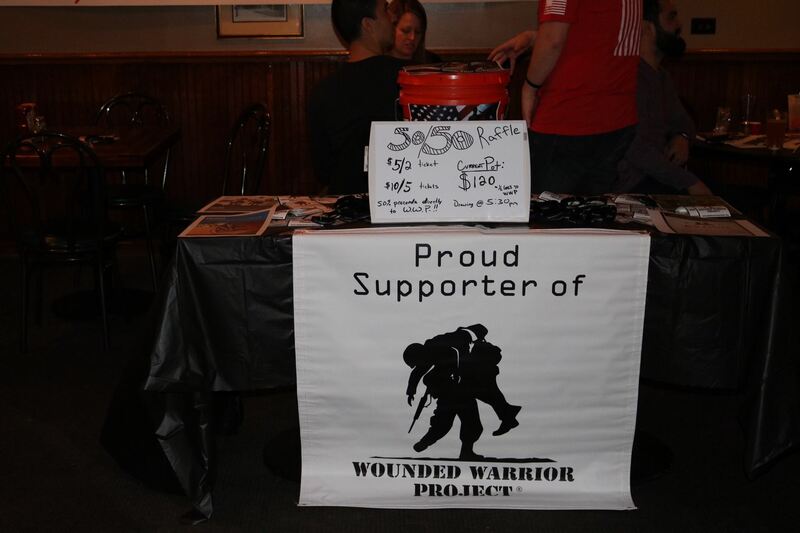 In honor of Veteran’s Day, we chose to do our fundraising and awareness raising for Wounded Warrior Project. There was no cost to attend the event. We had a display table setup with promotional materials from the charity and various options to accept in-person donations. We had a social media campaign with a Facebook event page – Wings for Warriors, Instagram, and Snap-Chat presence. 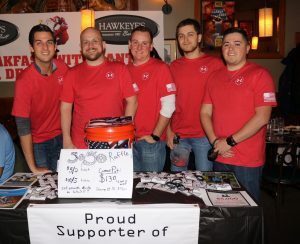 Hawkeye’s provided additional advertising for our event on their web page (www.Hawkeyesbar.com) and print media within the venue. 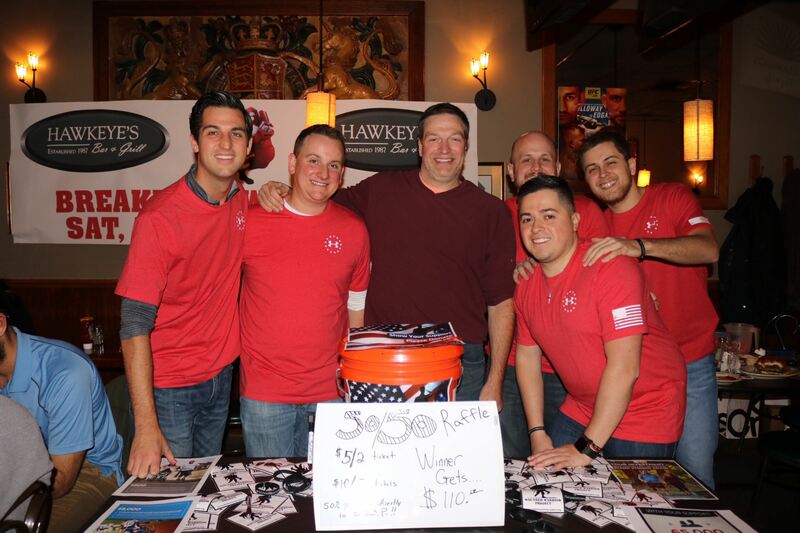 We also hosted a 50/50 raffle during our event. 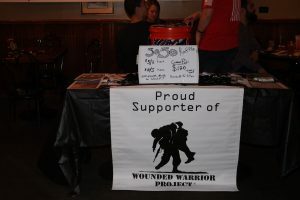 Finally, Wounded Warrior Project provided a personal webpage to solicit donations through. Wounded Warrior Project serves veterans and service members who have incurred injuries, either physical or mental, during their military service, along with their families. Due to advancements in body armor and battlefield medicine, more and more service members are surviving severe injuries. Beyond the physical injuries, there are those with the invisible wounds of war (PTSD, major depression, and combat-related stress), lead to a staggering number of individuals and families that need assistance. Wounded Warrior Project has served over 100,000 individuals and over 25,000 families. Our financial goal was to raise between $500 and $1,000, while keeping our expenses at zero. We were able to achieve our goal having zero expenses and, as you can see in the below chart, we surpassed our fundraising goal by raising $1,500! The only metric that we did not beat was for onsite donations. We believe that this was due to it being placed next to the 50/50 raffle, thus people were buying raffle tickets rather than donate. Our other success metric was to raise awareness by having at least 50 people show up to our event. 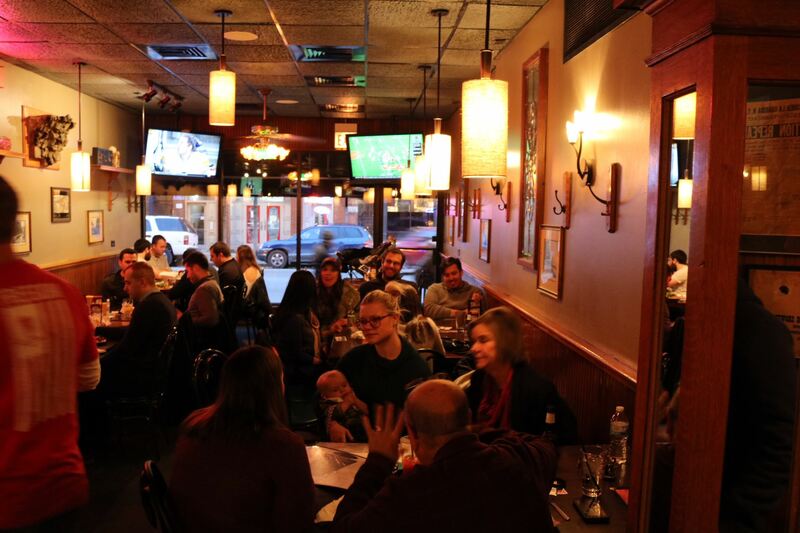 The normal amount of business Hawkeye’s receives during our time-frame is around 25 to 30 people. We are happy to report that we had over 80 people come to our event, so many that the general manager had to call in two extra servers. Team chemistry matters: Everyone getting along and being able to work together improves the project so very much. People are more willing to help others and ideas flow easier when everyone is comfortable with each other. Plus, you will be able to trust each other to get everything done. Pick a charity you buy into: Finding a cause you support and are emotionally invested into will make everyone in group work harder and want to achieve more than you set out to do. Don’t be afraid to change charities if you are not enjoying your first choice, we had to and were better off for it. Scope Creep is very real: As you get closer to the event, more ideas might come up. Spotting scope creep is tough and it can be even more difficult to stop it. Communicate! Everyone should know how things are going. Be positive and have fun. This will be stressful, but you got this. Ask for more, odds are you are going to get it.